MORE SUMMER 2019 LOCATIONS COMING SOON!!! Please note that we will NOT be running a camp out of the CBA location this year. CBA is not renting their facility. The Saint Joseph High School location is only 30 minutes away but spots fill up quickly. If you are interested in the Saint Joseph High School location and are coming from the Monmouth County area, we can also help with shuttle service options at an additional cost. Please email admin@njpremiervolleyball.com with the player's name, grade and address and we will coordinate with other families that may be willing to carpool. 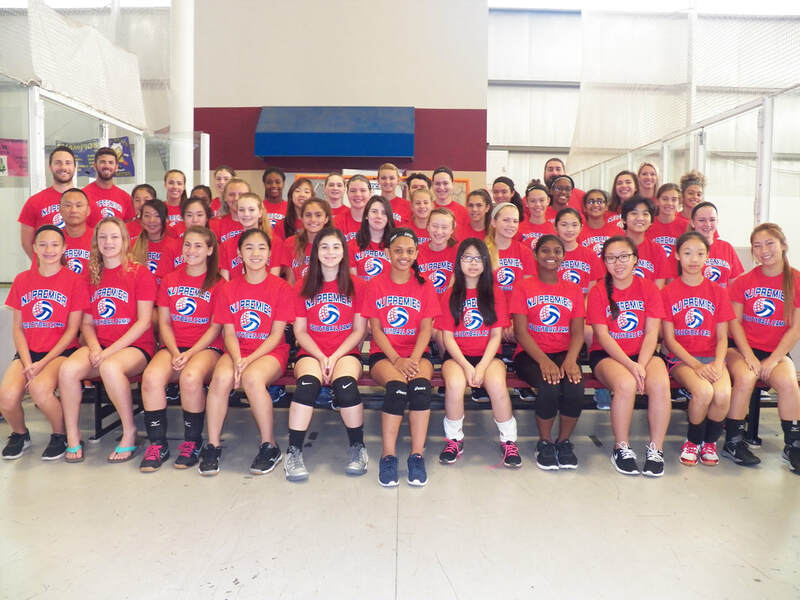 The Girls Camp is open to girls entering grades 5 - 13﻿*﻿ for Fall of 2019. The girls camps have sold out since 2012! There are 4 weeks available and 3 options per week to select from for the Girls Camp. Please note that all camp weeks are designed as a full day camp experience. While campers may decide to attend only 1 session per day, skills and drills will vary from session to session. There may be some overlap but in order to cover all skills, each session is unique. * Please note that a convenience fee will be added for PayPal or credit card purchases. Since most campers attend both sessions, we offer a reduced weekly rate of $375 for both sessions. Additionally, we are offering a reduced rate of $700 for those campers who register for 2 weeks (full day) and a reduced rate of $1025 for campers who register for 3 weeks (full day).